The new Ultra Spec Series is the reach-in unit from Victory redesigned to look good and work even better. The Ultra Spec features a series of accents and design features that give it front-of-the-house looks. The Ultra Spec Series features the V-Temp electronic control system. The V-Temp system provides the latest technological advantages. One of the most unique and powerful uses of the V-Temp technology is its reports. The V-Temp allows operators to run real-time diagnostic reports so that they can run the unit to its maximum efficiency. 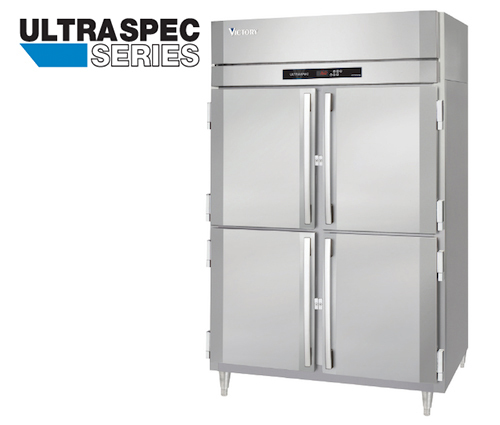 To learn more about the Victory Ultra Spec Series visit VictoryRefrigeration.com or click here.